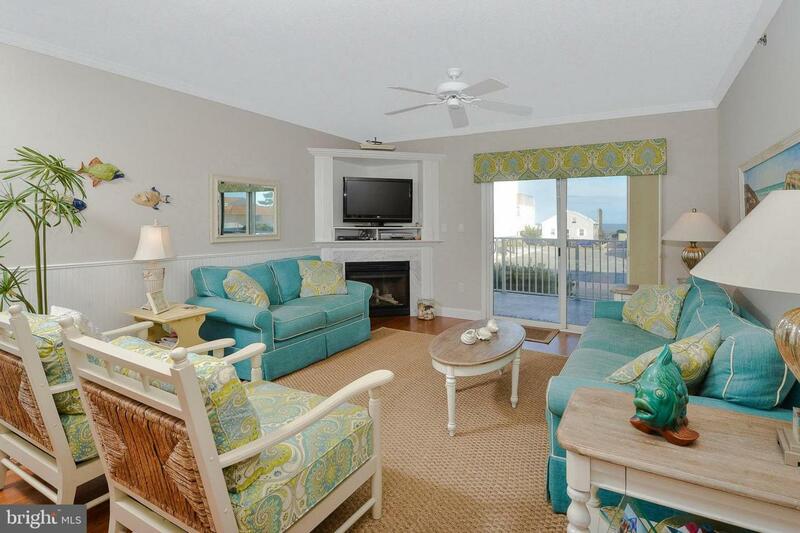 Delightful coastal style condo only steps away from the beach. 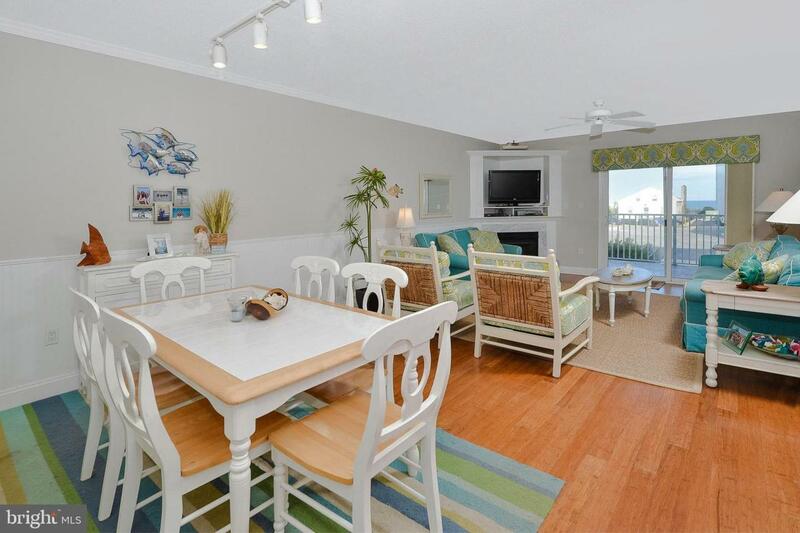 This 3 bdrm 2 bath unit features newer bamboo flooring throughout the unit. The living area has a cozy gas fireplace and opens to the kitchen that features Corian counters and a nice breakfast bar. The master bedroom suite features a master bath to include tile floors, jetted tub, separate shower and a make-up area. 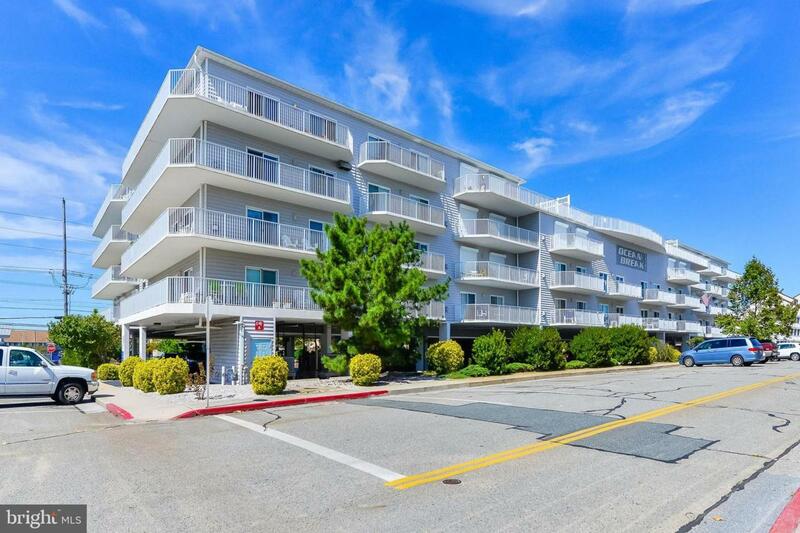 There is storage for this unit in a gated area of the building for all of your beach gear. 2 assigned parking spaces are included. The HVAC system is newer as well as the water heater. 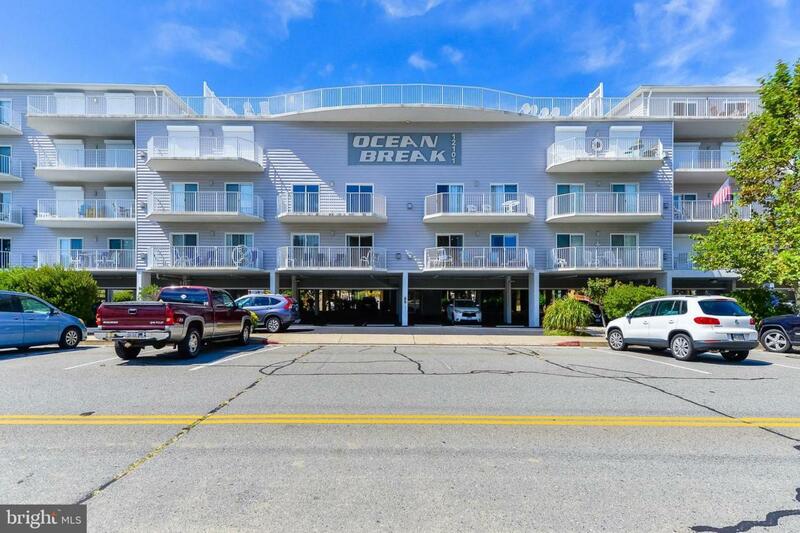 If you love large open balconies for outdoor enjoyment, you won't want to miss this tastefully decorated beach retreat when searching in Ocean City! Exclusions Balcony Furniture. Mbr Starfish And Mermaid.